September 2017: Laura Paltrinieri published a paper on Fe3O4 nanoparticles coated with a guanidinium-functionalized polyelectrolyte extend the pH range for phosphate binding Journal of Materials Chemistry A, 2017, 5, 18476 – 18485. August 2017: Mohammad Amirilargani was selected as a winner of the 2017 Elias Klein Founders’ Award from the North American Membrane Society (NAMS). Selection of this award was based on the academic achievements and supported him to present his lecture at the 11th International Congress on Membranes and Membrane Processes (ICOM 2017) organized by NAMS in San Francisco. April 2017: Mohammad Amirilargani won the European Membrane Society (EMS) Travel Award to attend “6th International Conference on Organic Solvent Nanofiltration, OSN 2017” which will take place in June 2017 in Russia. Q-Sense Explorer is a multifunctional instrument that allows number of experimental combination. 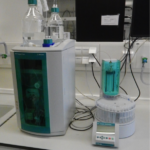 The instrument is dedicated to study surface properties and information like: (i) mass uptake per surface area, (ii) thickness and (iii) the viscoelastic properties of the adsorbed material can be extracted from the measurement. PTFE Flow module: for experiments where titanium is not appropriate material. 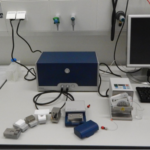 The autosamples allows to load and measure 36 samples automatically. 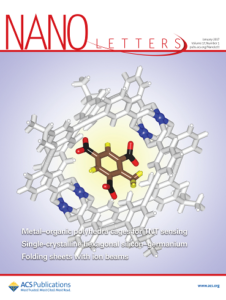 January 2017: OMI’s recent paper on nanowire-based sensors for the detection of TNT, which was highlighted in the previous ChemE newsletter, has now reached the cover of the first 2017 issue of Nano Letters. 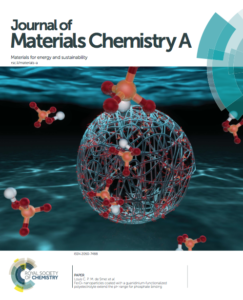 The cover shows a simulated geometry of a TNT molecule in a Cu-based metal–organic polyhedra (MOP) cage structure. 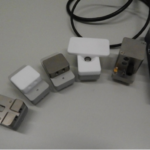 Upon the covalent attachment of these MOPs to the sensor surface, the devices showed a good electrical sensing capability to various explosives, especially TNT, with a detection limit below the nanomolar level. December 2016: Laura Paltrinieri won the Best Poster Presentation Prize for her contribution on ‘Phosphate transport through anion exchange membranes. 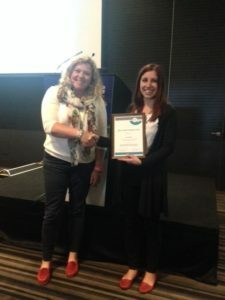 Effect of salt concentration and type of co-ion’ at the 9th International Membrane Science and Technology Conference in Adelaide, Australia in December 2016. http://www.imstec.com.au/ Our sincere congratulations!